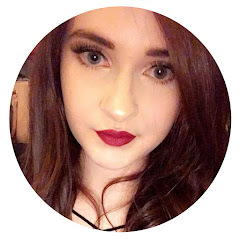 So ive decided to switch up the format a little bit with my monthly favourites, i'm still going to include my beauty favourites for the month but im going to start including others things too like non beauty favourites, a favourite youtuber or blogger for that month, maybe a favourite book and song - i just want to try and make it a little different and a little more interesting for you - this is just a trial for now to see if it goes down well. The fact that we are about 1 day away from February scares me a little - although I'm glad January is over, because January is probably my least favourite month! Just before Christmas i took advantage of the 3 for 2 offer that Maybelline had on in Boots and i picked up these two Maybelline Colour Tattoos as i was constantly seeing them popping up on blogs and well just look at them the colours are absolutely gorgeous. I wasn't originally going to do any post like this where i sum up the events of 2013 because i kind of feel like 2013 wasn't a special year but when i think back of all the things i did or achieved last year i think 2013 definitely was more than special. For me 2013 was the year of little things and little moments. I don't often review skincare nor do i like to splash out on products - i know your skin is something to invest in but I'm just a cheapskate and id prefer to spend my pennies on make-up. However, i was forever seeing this highly hyped product featured on youtube and on blogs and after reading review after review of praises i started to get intrigued. Then, i saw the price and as tempted as i was i thought no way am i spending £25 but then one day i made a random trip to Boots with the intention to find some Christmas presents and whilst in the queue to the till (with make up for me and no presents) i spotted that all the Indeed products were on offer and the Hydraluron was only £16/17 still a bit pricey but without thinking i picked it up and it came home with me. A little while ago just before my ban started i bought three foundations off FragranceDirect (like i even need anymore) and one of them i picked up was this Korres Ginger & Vitamin Foundation. My very lovely pen pal sent me this Sonia Kashuk Tinted Lip Balm in the shade Hint of Red in my last package and I almost screamed with excitement when i saw this as Sonia Kashuk isn't a brand that we have access to here in the UK so i was extremely excited to try this out and the eyeliner she sent as well and it excited me even more to see the colour of this lip balm as I'm a sucker for a red shade. I really enjoyed last months beauty box so i was very excited to see what this months had to offer - i was a little worried at first that i miss out on the box after the whole purse fiasco as i had to cancel my subscription and then resubscribe with new payment details it was a bit of a ballache tbh, why not just have the option to update the details online like most normal website?! I'll be honest and say I'm not completely blown away with the contents this month and had it not been for the mascara that i just couldn't miss out on, i probably wouldn't have gotten it this month. If any of you are avid Glamour Magazine readers you will recognise these nail polishes as they were the freebie you could get back when their November Issue was released. I'm actually subscribed to Glamour Magazine but i ended up missing out on my freebie as they could no longer post nail polishes due to changes with Royal Mail but they did send a little little with instructions on how to claim it. This was another little treasure that i picked up from the Car Boot Sale for a whopping £1, i didn't exactly need anymore blushes but as it was Smashbox, it just seemed to good to let it go to waste. At first, i was a little baffled as to whether it was two blushes, a blush/bronzer duo or what but after doing a little bit of reading it's two of Smashbox's products combined - their 'Passion' Blush and 'Soft Lights' Shimmer. Bronzer has became one of my favourite product to use throughout 2013 and one of the latest bronzers I've been trying is the Bourjois Delice De Soleil Bronzing Powder that i picked up at a car boot sale a few months back for 50p, id been curious about trying this out but i couldn't quite justify going out and buying another bronzer so when i saw this i couldn't pass up the opportunity to try it out - I'm aware that the powder itself doesn't look in the best condition but it works just fine. Best of 2013 posts and videos are my absolutely favourite because i think it really says a lot about a product if its made it into a yearly favourites - I really struggled trying to narrow down my favourite products because I've discovered so many amazing products during 2013 but i didn't want to include every single product that i liked, so it took me quite a while to narrow the list down to a reasonable amount and I've tried to pick a product for each category but of course some did end up with a few more than others. Yesterday i received the Max Factor Two-step Excess Volume Extreme Impact Mascara* along with a lovely Max Factor Excess Intensity Long Wear Eyeliner* in the post and boy was i excited - For some reason Max Factor isn't a brand i tend to reach for often, i don't really know why though because I'm always hearing such great things about their products.